No don’t worry I haven’t put the wrong picture with this post. I call this purple/pinkish smoothie green as it’s full of green goodness, just not exclusively. A hybrid smoothie – packed full of natural sweetness and flavour. Easily made with a few ingredients and a blender (hand or stand alone). 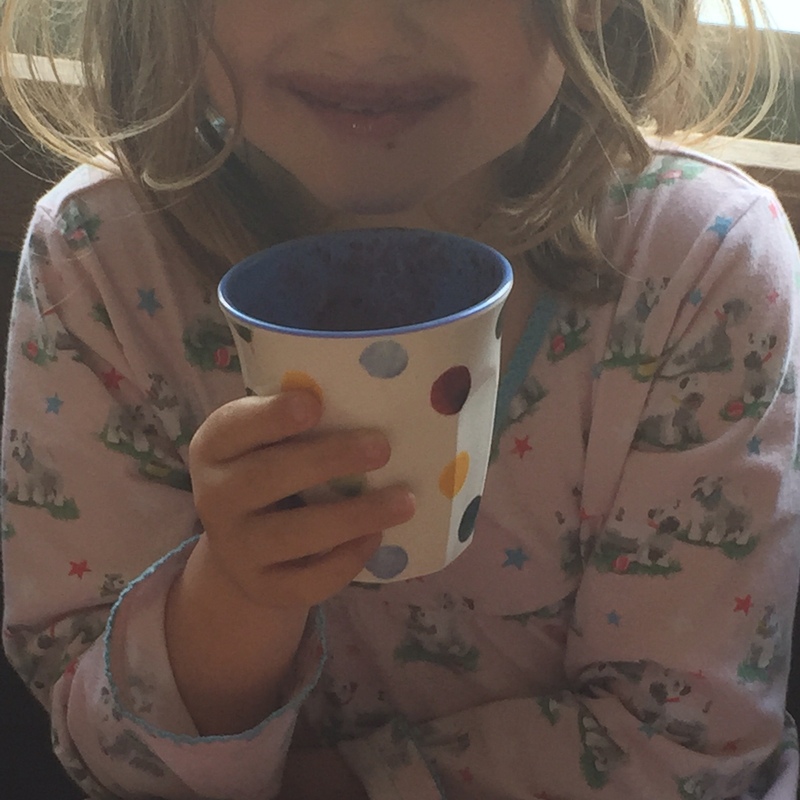 My children love smoothies, we can’t go in to a shop without them pestering for one. 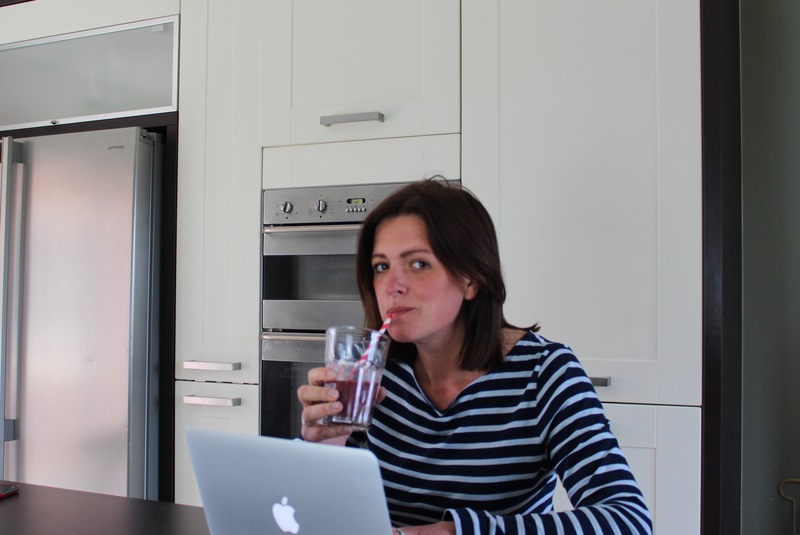 But the great thing about making them at home is that they are a tenth of the price, fun to make and full of REAL vitamins, nutrients and only natural sugars. Adding greens (whatever you have around or that’s in season) leaves, kale, spinach etc has been a great way of demonstrating to my kids that different types of green vegetables can not only be good for you but tasty too. 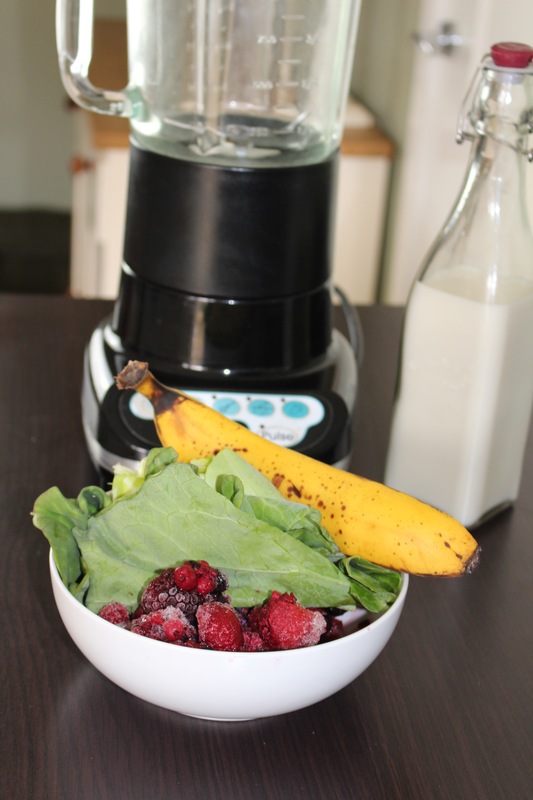 At first I used to sneak the greens in but then as they became interested in making the smoothies I began to confidently add the greens. This was first met with distraught shock and horror.. ‘that will be disgusting mummy’. I explained I’d put greens in every smoothie they’d recently enjoyed. This news was met with deep suspicion and the first tastes were very tentatively taken but all concerns were quickly forgotten. Then the most curiousest thing happened. We were all tucking into some delicious roast spring lamb on Sunday when my eldest (child) ASKED for some of the same spring greens. Now it was my turn to be shocked. These were the same greens she’d previously refused to even try. But not only did she try them and enjoy them, she asked for more! 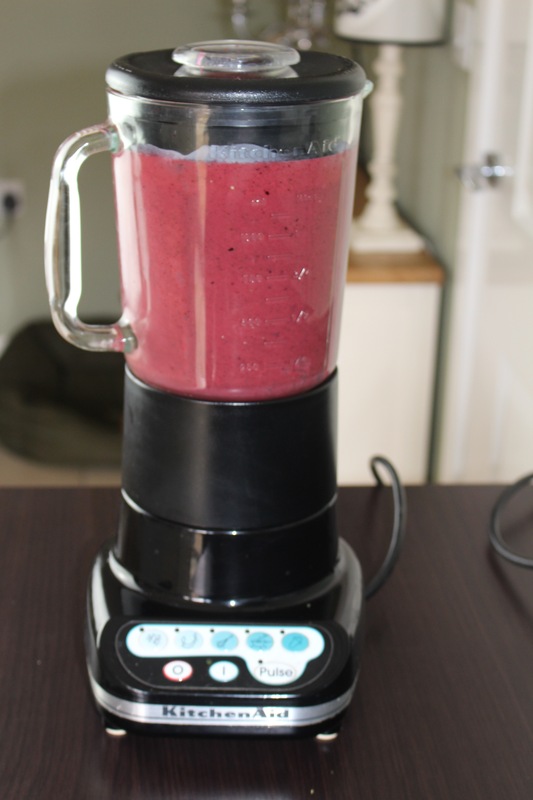 The power or a smoothie. A true story. 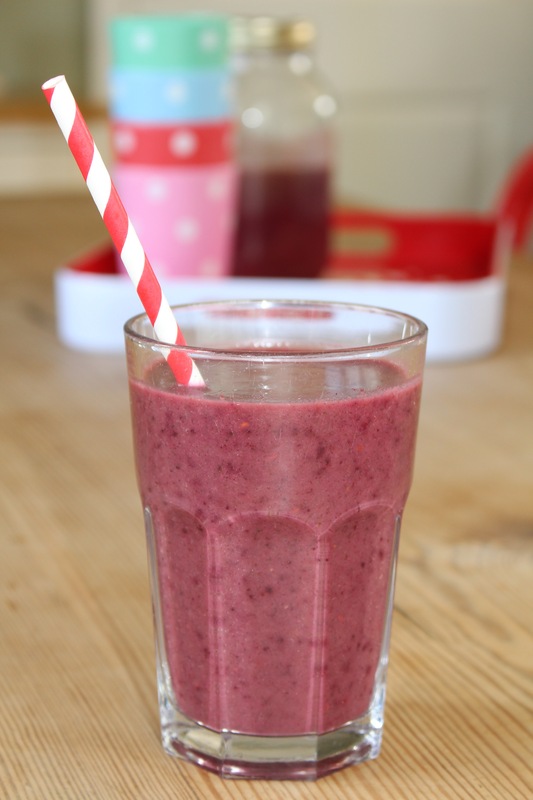 We enjoy this smoothie as a great breakfast alternative, pudding or a tasty snack and hope you will too. If you like the look of this please like, share and comment, see the end of this post – thank you! 1 x tablespoon of 100% Maple Syrup (it is v important it is 100% Maple syrup otherwise it’s the same as regular refined sugar and you don’t benefit from the anti-oxidants. Blend all of the above together and enjoy! 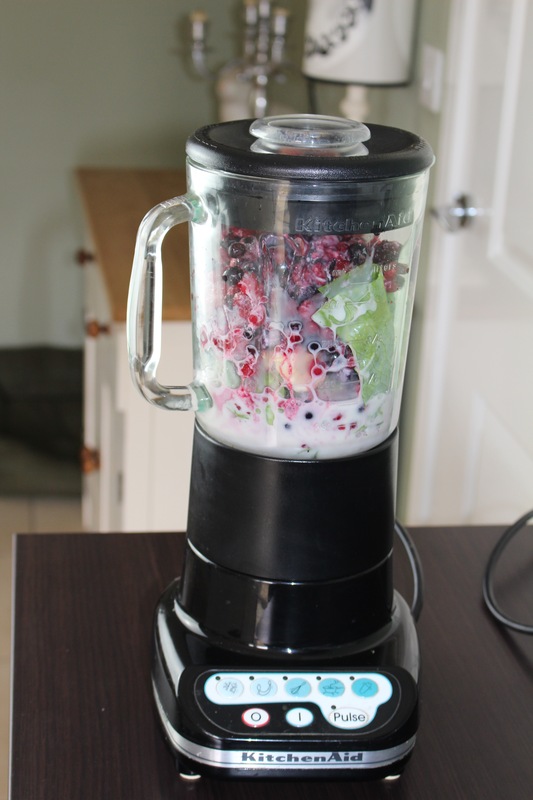 Notes: This smoothie will keep up to 2 days covered in a fridge and freezes well. Real Food. Healthy Fuel. For a Happy Life. For more pics, recipes and fun you can find me here. Yes I love green smoothies too but so far my kids are put off by the colour. Thanks for stopping by and have a great weekend!